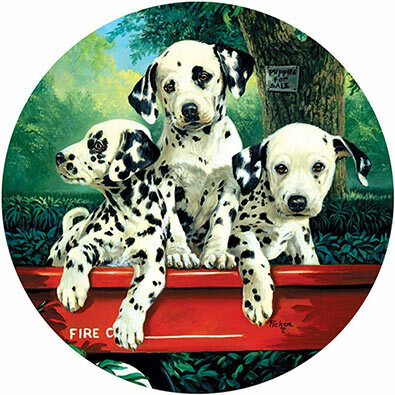 This 500 piece jigsaw puzzle is designed by Alan Giana and measures 51cm diameter. Available in two piece count. This 500 piece jigsaw is designed by Judy Mastrangelo and measures 50 cm diameter A small angel tends to a blooming garden. Available in two-piece counts.